Leaders in education contribute their perspectives on effective assessment design and implementation, sending out a call for redirecting assessment to improve student achievement and inform instruction. This essential collection of nine resources will help you build an invaluable foundation of knowledge to stand on and plan from. 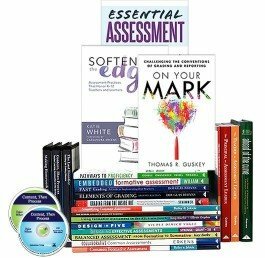 Designed by leading assessment experts, this curated toolkit includes twenty books and three DVDs for whole-school professional development. 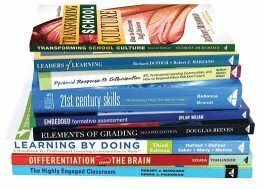 15% off regular retail price of these resources when you buy them as a toolkit. You save $185. 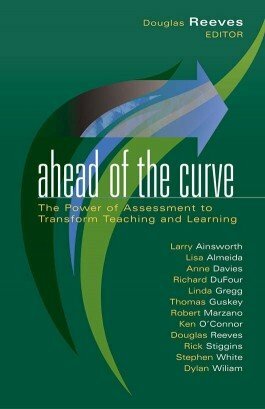 Drive student engagement, learning, and success using effective assessment strategies in the classroom. 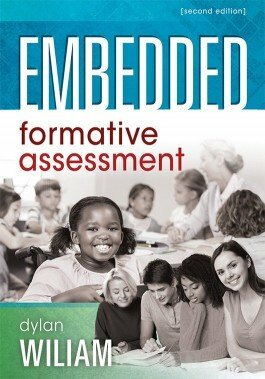 The second edition of Dylan Wiliam’s best-selling book presents new research, insights, and examples as well as updated classroom formative assessment strategies and techniques teachers can implement immediately. The Simplifying Response to Intervention Professional Development Playlist features 22 short RTI video resources, aligned to chapters in the book and accessible online. Richard DuFour, Mike Mattos, and others demonstrate RTI strategies for creating an effective learning environment within an RTI model that works.